First I saw a blurb about Yalla Yalla on Time Out. 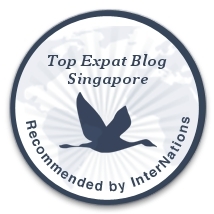 Then Gourmet Chick lists it as a top ten cheap eat in London. The very next week, the Hungry Engineer and her husband are visiting London from Austin. They give me a run down of the top places that they’ve eaten so far in London. 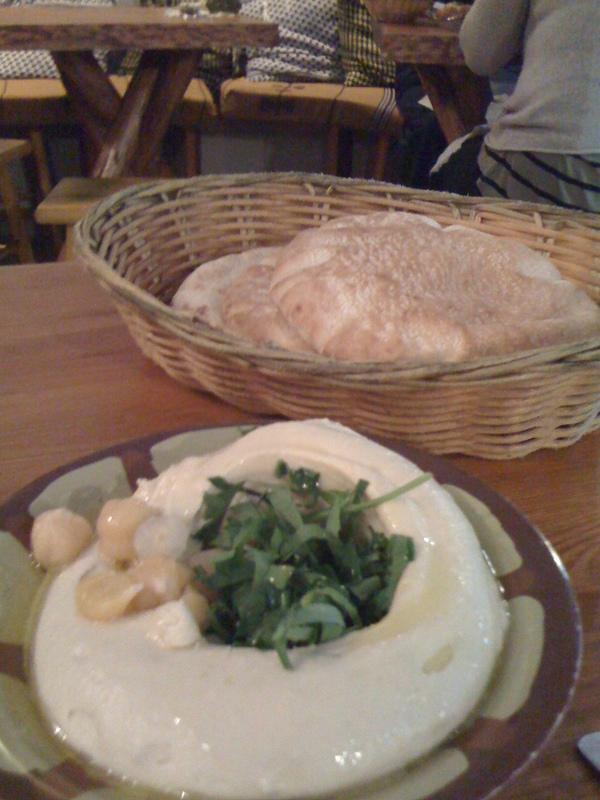 They do not shut up about the batata harra at Yalla Yalla. 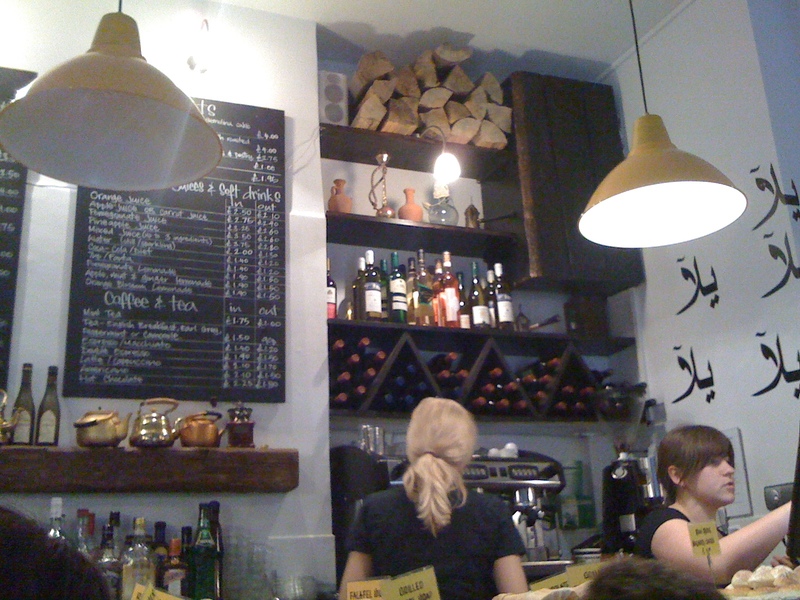 I resolved to scope this Beirut street food venue out. 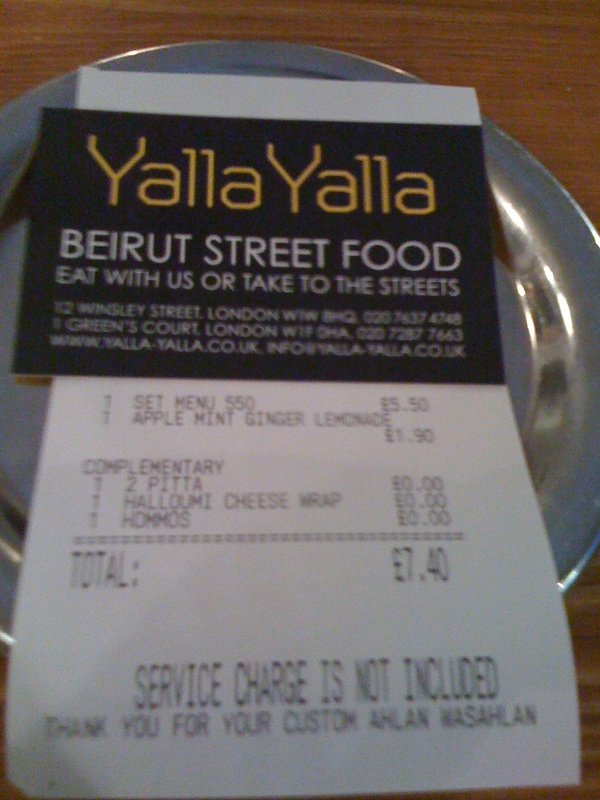 Yalla Yalla has two locations near Oxford Street. The one I visited is tucked away in Soho in a street that is more of an alley. To find it I cruised down Brewer, poking my head down every street I passed until I finally saw the yellow Yalla Yalla sign. For the record, Green’s Court is between Lexington and Wardour. It’s not a place that you just bump into while not paying attention. The small cafe was full with people waiting for takeout and eating in. There were a few full outdoor seats as well. The secret is out. I slipped into the only small empty table and started contemplating my order. 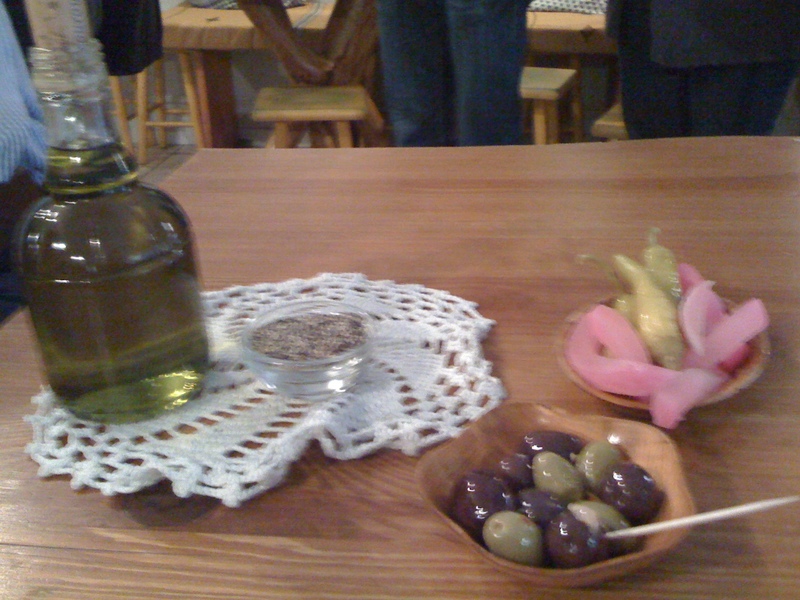 Olives and pickles while I contemplate. 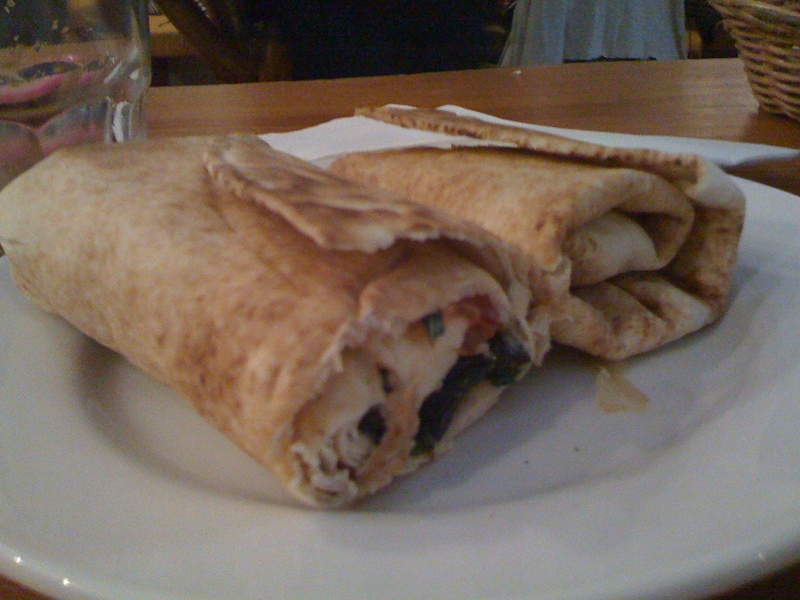 I settled on the lunch special – a wrap (I chose halloumi) with a side of hummus. I added an apple mint ginger lemonade. How can you resist a drink like that? 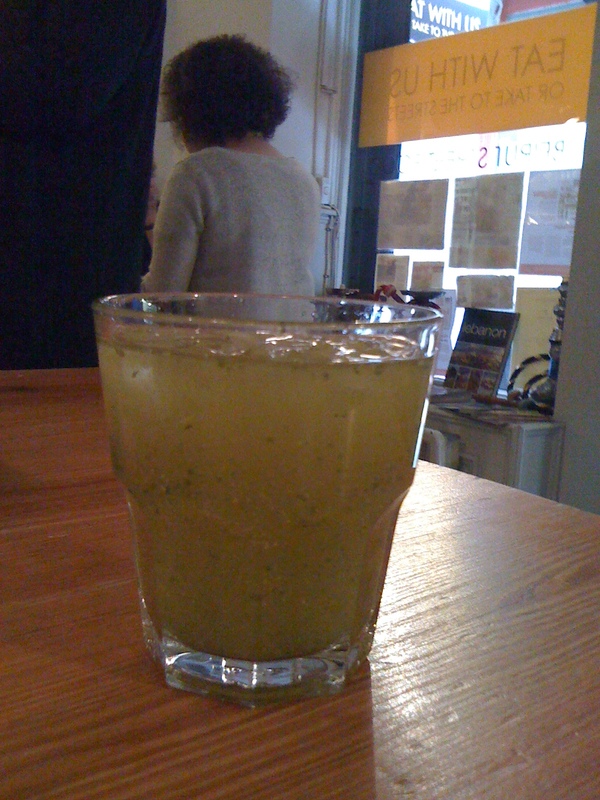 Apple mint ginger lemonade? yes, please. I left completely stuffed. I could have done without the hummus and pita bread. I returned a few weeks later for another halloumi wrap, this time to go. I waited outside as the order was prepared and took my wrap to devour in the park. I’ve really got to make it back again to try out those potatoes. Yalla Yalla on Green’s Court is open Monday to Saturday 10am – 11pm and Sunday 10am – 10pm.